About Us – Millco Custom Fabricators, Inc.
We begin each and every project with the goal of exceeding our clients expectations. The strength our company brings to each project is based upon our core values which incorporate integrity and a strong sense of client satisfaction. It is our purpose to ensure that every project meets or exceeds industry standards at every level. These values, complemented by our staff who bring a vast amount of experience to each project, Guarantee successful results. Since 1997, Millco Custom Fabricators has a solid reputation as a high quality job shop, specializing in the fabrication of stainless steel, steel, aluminum and plastic products. Superior service and attention to details makes Millco unequal. Millco believes in long term relationships with its customers as partners, so that issues can be addressed and approached together for the mutual benefit of us and our clients. One of our customers had a unique situation happen to them. Conrail was working on the tracks just outside of their building and as the day ended the works put their equipment on the rail spur that lead into our customers building. The only problem is that they forgot to through the switch back on the mainline. Yup, the first freight train that came by ran right into and through the building. It came in one end and almost made it out the other end taking all the processing equipment and platforms with it. We went in and pulled everything out and rebuilt the equipment and salvaged as much of the platforms as possible. 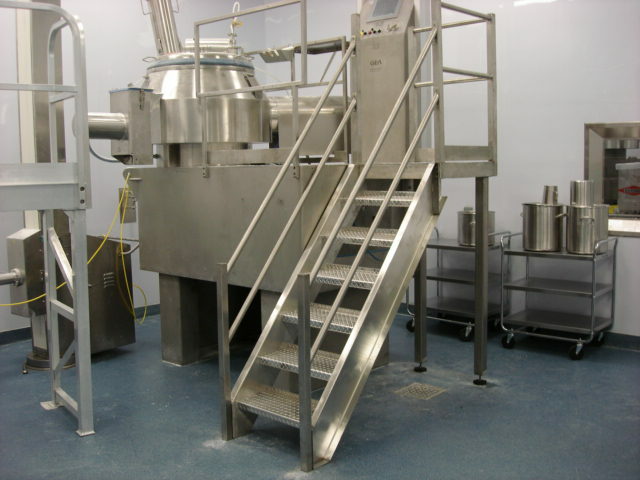 With over 45 years in the pharmaceutical and cosmetic industries, our engineers have handled everything from small projects to product launches. Our staff teaches pharmaceutical manufacturing courses at Stevens Institute of Technology and Rutgers University.